Edinburgh Larder has a café and bistro in Edinburgh city centre, and is a supporter of the Edible Edinburgh Charter. “Our connection to Edinburgh is in our name: we have 2 branches in Edinburgh city centre, and one in Whitmuir farm, 16 miles south of Edinburgh. Each uses food grown in and around Edinburgh to show off the best there is to offer in the area. We use local produce to make delicious dishes that reflect Scotland’s seasons and cultures, and use many small Edinburgh businesses as our core suppliers. “Good food means food cooked from scratch, with no industrial processing behind it. It means a connection to a place and a history, and most importantly to a grower or producer. We’d love to see more Edinburgh businesses supporting Scottish agriculture, as a healthy and vibrant food production scene is essential to creating good food and a good food culture. We wouldn’t be able to operate if it weren’t for good food, specifically the good food that is produced locally to Edinburgh. Our customers come back because of it, so it’s really everything to us. 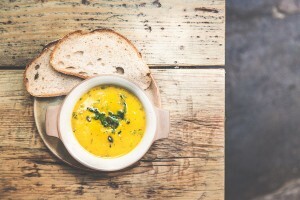 “The Edible Edinburgh Charter really reflects our way of doing things – we firmly believe that good food should be available to everyone, but that it should be taken as read that for food to be good, it also needs to be good for the local environment, the local economy and for our diversity and culture. We think that Edinburgh’s food culture has so much potential, and we hope the Edible Edinburgh charter is a great signpost for things to come. 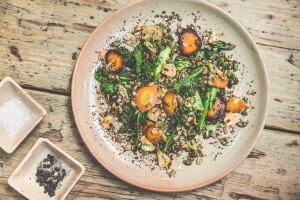 “We think of ourselves as being in the business of reconnecting the food we eat to where it comes from, so seasonality, locality and Scottish food culture are our watchwords. We are planning to broaden our demographic by taking our chefs into schools and school kitchens to demystify what local means when it comes to food, why it’s a good idea to use it, and how to make the most delicious and nutritious food from it. We support Edible Edinburgh in helping to make Edinburgh a tastier, happier, healthier and fairer city.